Brent and I made these sandwiches on a lazy Saturday afternoon. Brent took one bite, and immediately turned to me and said, “This has to go on your food blog.” Brent is my food critic 🙂 He is completely honest when recipes aren’t blog-worthy, which is why you will not be seeing a calzone post anytime soon. He knows good food when he tastes it, and this sandwich is worth the hype. It is such a simple concept, and so delicious. Switch it up with sun dried tomato pesto, heirloom tomatoes, avocado, or crusty bakery bread. With a combination of tomato, mozzarella, pesto and bread, you are sure to have a delicious result. Heat a large skillet over medium heat or preheat a panini grill. Core the tomatoes so that they don’t make your sandwiches soggy, and slice tomatoes and mozzarella ¼ inch thick. Spread each slice of bread evenly with pesto. Place two slices of mozzarella on half the bread and cover with a layer of tomato. Place the remaining slices of bread, pesto side down, on top. Spread the top and bottom of each sandwich with softened butter. Grill the sandwiches in batches on the grill or in the pan for 2-3 minute, until the mozzarella starts to ooze. Cut each sandwich in half and serve warm. I had not seen this blog. The PICTURE is fantastic, let alone the actual sandwich. What was wrong with the calzone? these are the BEST! 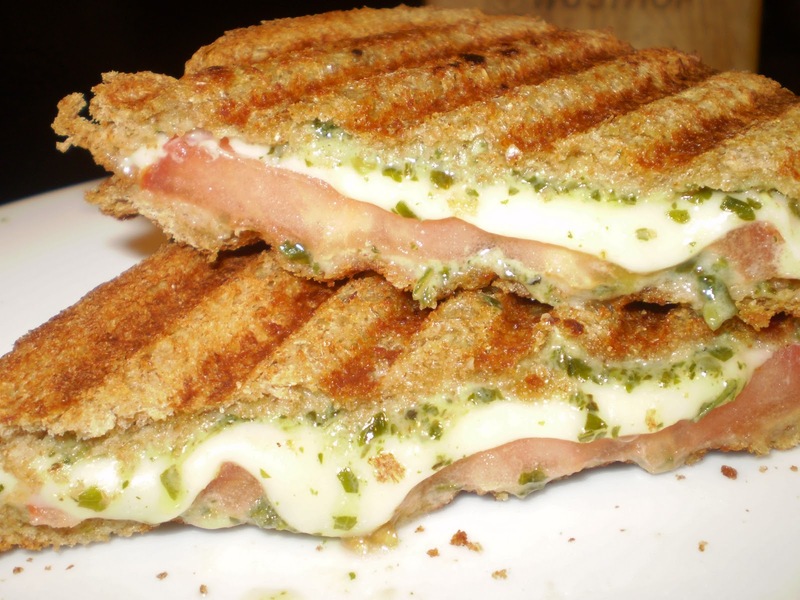 Did you make this one with the panini grill? because mine definitely did not have those grill marks?